Here's what to do when a dispute arises with your contractor. So, you tried to anticipate everything. But the fact is, no one can plan for every exigency. So here are some ways to deal with the aftermath of a disaster. They do happen. Not often, but they occur. What do you do if something major does go wrong? First things first. You ignore the pleas of your GC for partial payment and explain that everybody will get paid when the job is done. 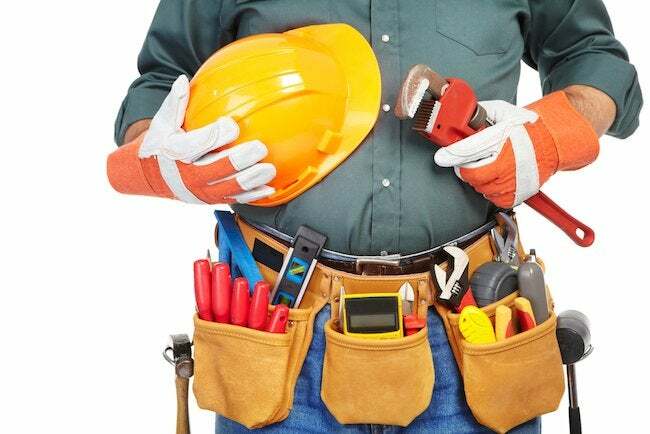 If the tradesman who is at fault has the GC on his case as well as you, then the chances are much greater that he’ll come back and straighten things out. One angry customer is an irritating incon­venience, but an angry contractor who will badmouth you to the trade is dangerous to one’s professional health. This doesn’t always work, of course. Sometimes there is too little money left unpaid for the contractor(s) to be bothered. It’s called cutting your losses. They fig­ure you owe them a thousand dollars, it’ll cost two thousand to fix the trouble so, what the heck, why don’t we just make ourselves scarce for a while, aye? If you checked your references thoroughly, this shouldn’t happen. Contractors don’t usually turn into bad apples overnight. But if they do? Next you check what’s in your contract. The contract will be at the beginning of any legal proceeding, so even before your dreams start featuring Perry Mason’s rotund frame, look to your paperwork. You should have negotiated some leverage there. Payment schedules are the best leverage but if you find yourself without sufficient monetary leverage, check with your lawyer to see what other options are available. There may be an arbitration clause, for example. In any case, the possible remedies open to you are several. In many areas, local governmental agencies have been established to help consumers who feel they have been wronged. Start with your city’s agencies first. If there isn’t one or they cannot be of assistance try county or state departments of consumer affairs. Often you will find personnel there who know the local laws, and who may be able to advise you on what your next step should be. If you consult with any such consumer agencies, be sure you have your contracts and other records of payments with you. Small claims court is an option if you are unable to get your complaint satisfied in other ways. Usually, no lawyer is required, the paperwork simple and the results rapid. Small claims are usually inexpensive to pursue, and you may even be reimbursed for your filing fee if you prevail. Check at your local courthouse for hours and any requirements. You may find the small claims clerks very helpful in explaining procedures. Small claims courts are, as the name suggests, for small claims. If the kitchen window you paid $400 to have installed leaks, small claims court may well be the right place to pursue your action. On the other hand, if the foundation on your brand-new $250,000 addition is riddled with cracks, go talk to your lawyer and get him to pursue it for you. Many municipal Better Business Bureaus have programs for resolving disputes. Call your local Bureau and ask. Check the telephone directory for your local Better Business Bureau or write to the national headquarters, the Council of Better Business Bureaus, at 1515 Wilson Boulevard, Arlington, VA 22290 or telephone 703-276-0100. Professional societies for electricians, plumbers, and other tradesmen may also have such a service in your area. Check them next. They are associations created to serve their memberships, but most are careful to be fair: they gain nothing in the long term from protecting the irresponsible, incompetent, or shoddy among their members, and at least some of them act as if they know it. Professional arbiters are also available. Even if your contract does not include an arbitration clause, you may be able to get the contractor with whom you are having your disagreement to agree to an arbitration proceeding to avoid your dragging him into court. Arbitrations vary a great deal, but in general, the idea is to get the parties to present their case to an impartial third party, who will then render a decision. Whether it is binding or not is a question of the paperwork (did everybody sign a written agreement up front guaranteeing compliance to the decision of the arbiter?). At the very least it is an opportunity to sit down in a room with a cooler head to try and solve the problem. If none of these options works, you have two choices. Swallow your pride and get somebody else to fix it or get your lawyer on the case.